Natasha studied Law at the University of Hertfordshire and qualified as a solicitor in 2009, specialising in Employment law. Natasha joined Griffin Law as an Employment Law Consultant in 2013. 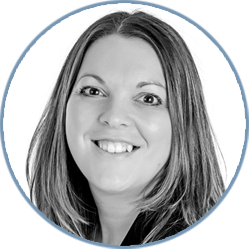 Natasha advises employers and employees on a range of matters such as unfair dismissal, redundancy, discrimination, breach of contract, disciplinary and grievance procedures, family friendly rights, whistleblowing and TUPE. She has a wealth of experience pursuing and defending Employment Tribunal claims but she also has the commercial acumen to identify cases where settlement is appropriate and Natasha is able to negotiate effectively on behalf of her clients and has excellent drafting skills when it comes to settlement agreements. In her spare time Natasha can be found spending time with her family and friends, reading, attending spin and Pilates classes and occasionally engaging in a spot of retail therapy.